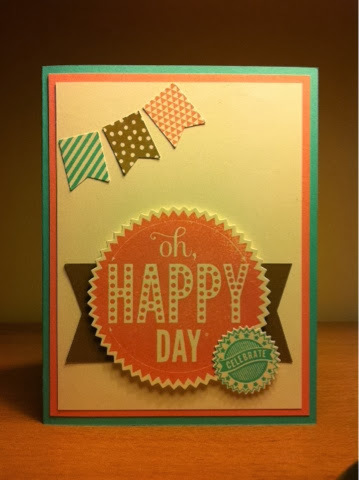 This card features the Starburst Sayings Bundle from the Occasions Catalogue and Banner Blast and the coordinating Banner punch from Sale-a-bration. The colour palette for this Valentine was inspired by the Sale-a-bration DSP Sweet Sorbet that you see running up the left side of the card. It's great paper! The base is Summer Starfruit, the next layer is Pool Party and the heart is Calypso Coral. 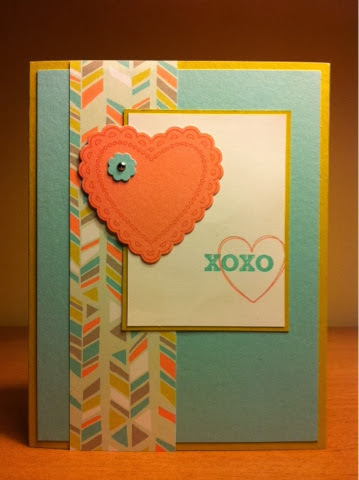 We used the Hearts a Flutter stamp set and the coodinating framelits on the Calypso heart and to stamp the heart on the white layer. I like that this card can be used as a valentine, and isn't too frilly or girly. 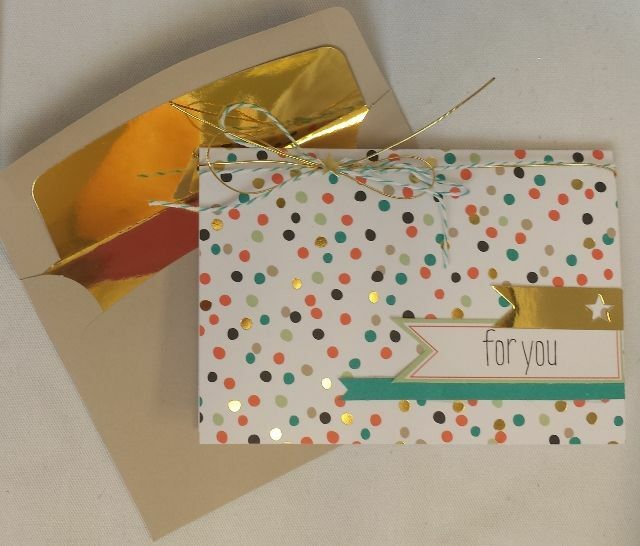 We also made a card from the Sale-a-bration card kit, Good as Gold Simply Sent, but I gave it away the day after stamp club for a friend's birthday and I hadn't taken a picture yet. This is a picture I found on line that is similar to what we made, only I put the thin blue strip in between the gold strip and the for you. Have some questions about Sale-a-bration and how you can get these items for free? Email me at teachtostamp.gmail.com and I can answer your questions and get a copy of the flyer to you.